EUR/USD is currently lollygagging just below the 1.1200 major psychological handle, which isn’t surprising since it’s right smack at a range resistance and area of interest on the 4-hour time frame. This time around the consolidation is supported by an overbought stochastic signal. 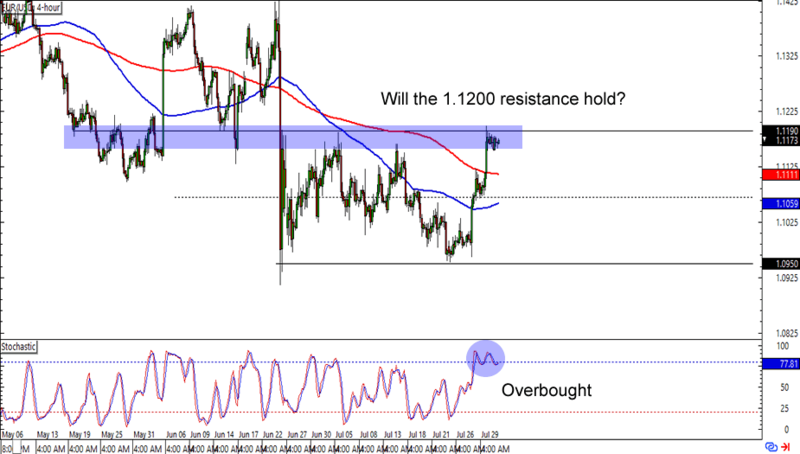 A short trade at current levels could make for a good trade idea especially if you aim for the previous lows near the 1.0950 MiPs. On the other hand, you could also wait for a break above said resistance levels and trade an upside breakout if you’re one of them euro bulls. Guess, who’s back, back again? Clue: it’s not Slim Shady. It’s AUD/USD, yo! 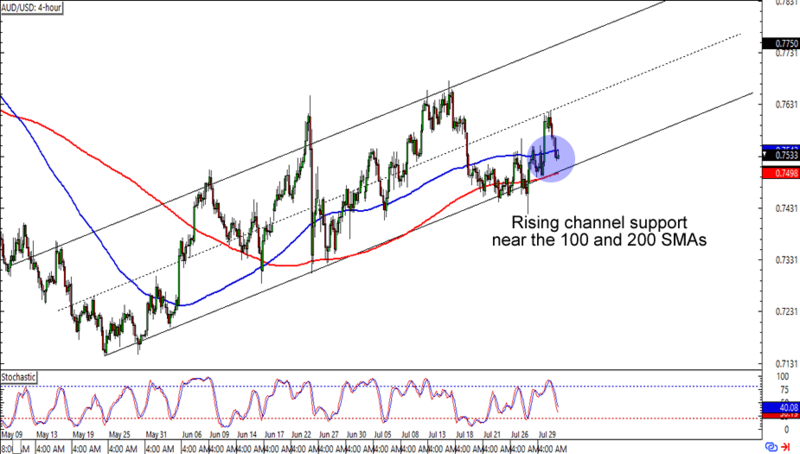 The pair is heading back to the .7500 major psychological area, which lines up with the rising channel support on the 4-hour chart. Not only that, but it’s also right around where the 100 and 200 SMAs are! Think the Aussie is about to see some more gains against the Greenback? 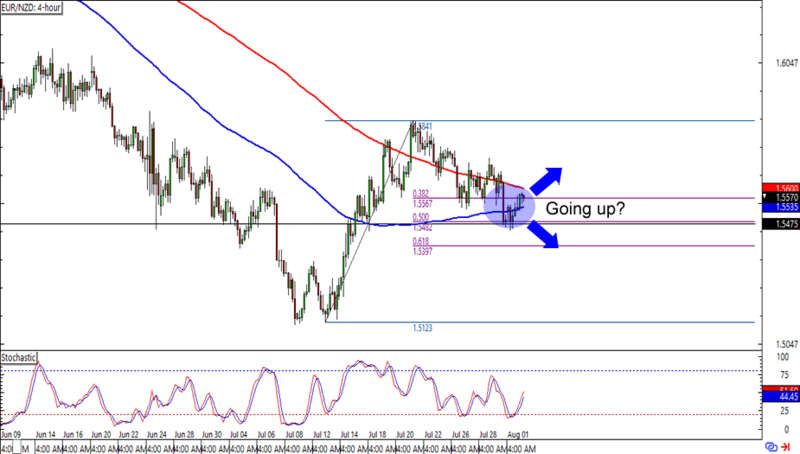 Or will the bears finally break below the support area and push for a downtrend? Here’s one for the trend warriors out there! EUR/NZD just bounced from the 50% Fibonacci retracement, which is lined up with an area of interest on the 4-hour time frame. What’s more, stochastic has also just left the oversold territory. The cherry on top of this potential uptrend is the 100 SMA looking like it’s about to cross above the 200 SMA. What do you think? Are we looking at an uptrend in the making?